We are in a decade of commemorations in Ireland, remembering the key events 100 years ago that shaped the Ireland we live in today. We are also in the middle of remembering the key events that shaped the Europe of today during World War I. But our presence here this afternoon is a reminder that the one key event that has shaped this world today is the first use of atomic bombs 70 years ago, in Hiroshima on 6 August 1945, and in Nagasaki on 9 August 1945. Today, nine countries combined hold more than 15,700 nuclear weapons – the United States, Russia, Britain, France, China, Israel, India, Pakistan and North Korea. Together alone, the US and Russia have 14,700 of those nuclear weapons, and they have about 1,800 of those nuclear weapons on high-alert status … ready to be launched within minutes. Most of these weapons are many times more powerful than the atomic bomb dropped on Hiroshima this day 70 years ago. A single nuclear warhead, if detonated on a large city, could kill millions of people, with effects that last for decades and generations. The failure of the nuclear powers to disarm heightens the risk that other countries will acquire nuclear weapons. The only guarantee against the spread and use of nuclear weapons is to eliminate them without delay. Biological weapons were banned in 1972; chemical weapons in 1993; landmines in 1997; and cluster munitions in 1998. Yet nuclear weapons remain the only weapons of mass destruction not prohibited by an international convention, even though they have the greatest destructive capacity of all. A global ban on nuclear weapons is long overdue and can be achieved with enough public pressure and political leadership. Such a ban would make it illegal for nations to use or possess nuclear weapons and would pave the way to their complete elimination. International law obliges all nations to pursue in good faith and conclude negotiations for nuclear disarmament. However, the nuclear-armed nations are failing to present a clear road map to a world that is free of nuclear weapons. Continued failure is not an option, for continued failure is doomed to become eternal failure. So long as nuclear weapons exist, there is a real danger they will be used again. A ban is urgently needed, it is needed now. The Non-Proliferation Treaty Review Conference failed yet again earlier thus this year to reach agreement. The latest review conference came to an end on 22 May without an agreement after four weeks of talks at the United Nations in New York. Two of the last three review conferences have now ended without agreement on an outcome document laying out actions towards disarmament and the non-proliferation of nuclear weapons for the next five-year period. Why, why, why, for example, did Britain, Canada and the US insist on blocking the proposals for a conference on a nuclear-weapons-free Middle East? Why? Is it because it is OK to demand commitments to nuclear disbarment from Iran, but not from Israel? Iran has no nuclear weapons, yet Israel maintains a policy of ambiguity about its nuclear arsenal. It has 80 or more nuclear warheads, yet refuses to either confirm or deny their existence. Yet Netanyahu has the effrontery this week to condemn one small step towards making the Middle East free of nuclear weapons. Despite these failures, the majority of NPT conference member states are alert to the catastrophic humanitarian consequences of any use of nuclear weapons. It is clear that the nuclear weapon states are not interested in making any new commitments to disarmament. 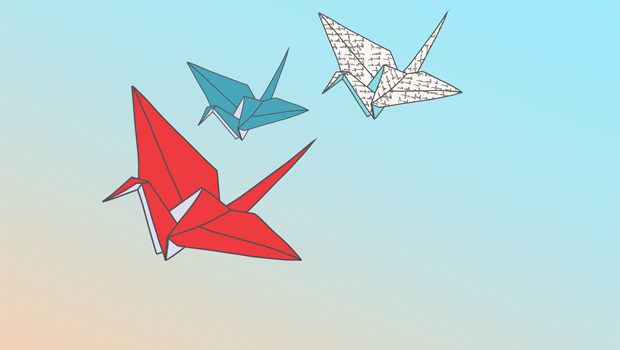 Now it is up to the rest of the world to start a process to prohibit nuclear weapons. Thank goodness for the Irish representatives at the NPT review conference who expressed their frustration with the lack of meaningful progress towards disarmament, and called for action. The New Agenda Coalition, which includes Ireland, is now calling for the beginning of negotiations on effective measures to eliminate nuclear weapons. The challenge now is to maintain the momentum towards disarmament. Irish CND urges the Irish Government and the Department of Foreign Affairs to take an active leadership role in moves towards a new legal framework for banning and eliminating nuclear weapons. We have seen in recent weeks how a moral stance by Ireland can be effective. It can save lives and can challenge the unwillingness of others to act. For example, since its deployment in the Mediterranean, the Irish Naval Service has saved the lives of thousands of men, women and children. The actions of the officers and crews of the LÉ Niamh and LÉ Eithne are a genuine source of national pride. The deployment is due for review next month [September 2015]. The Government should and must commit to continuing this Irish deployment for as long as people continue to take to the high seas in a desperate attempt to reach safety. It is a good moral principle that particular actions reflect general aspirations, and that general aspirations should be reflected in particular actions. In other words, to save one life is to save humanity. The actions of our naval vessels in the Mediterranean must continue. But in saving those lives, we must reflect an Irish commitment to saving humanity. And the one way to ensure that is for committed nations, including Ireland, to undertake negotiations on a treaty banning nuclear weapons … even without the participation of those who are armed with nuclear weapons. The alternative is to continue allowing the nuclear-armed nations to control the process and to perpetuate two-tier systems and treaty regimes that have no power to compel disarmament. A nuclear weapons ban would globalise what nuclear-weapon-free zone treaties have already done regionally. It would allow nations in any part of the world to formalise their rejection of nuclear weapons and help create a clear international legal norm against the possession of nuclear weapons. The devastating effects of nuclear weapons on Hiroshima and Nagasaki seven decades ago provide a clear rationale for negotiating a ban. A powerful legal ban on nuclear weapons would not only stigmatise the weapons, but also build the pressure for disarmament. It is time to change the game. * Mishnah Sanhedrin 4:9; Yerushalmi Talmud, Tractate Sanhedrin 37a. (Revd Canon Professor) Patrick Comerford is President of the Irish Campaign for Nuclear Disarmament. 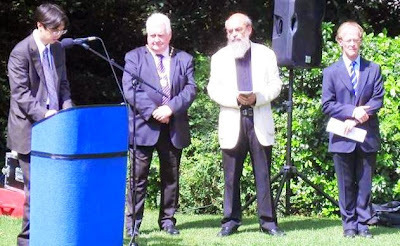 He was speaking at Irish CND’s annual Hiroshima Day commemoration in Merrion Square, Dublin, on 6 August 2015. Today is the Feast of the Transfiguration [6 August 2015] The Gospels recount how Christ was transfigured before Peter, James and John. Appearing with Christ were Moses and Elijah, representing the Law and Prophets of Israel. Christ is said to have shone like the sun. According to the 13th century Eastern theologian, Saint Gregory Palamas, the Light that shone around Christ was God’s divine energies, divinity itself. In the Transfiguration, we behold the Divinity of Christ, and we see our own call as human beings to become divinised by Grace. The early Church Fathers said that Christ became a human being so that human beings might become God. We are reminded of Christ’s uniqueness as the Son of God, but also, our own destiny to become sons and daughters of God as well. As we are reminded in the Second Letter of Saint Peter: “His divine power has given us everything needed for life and godliness, through our knowledge of him who called us by his own glory and goodness. Thus he has given us, through these things, his precious and very great promises, so that through them you may … become participants of the divine nature...” (II Peter 1: 3-4). Many years ago, in Saint Thomas’s Church, Dugort, on Achill Island, I heard a sermon that drew the sharp and shocking contrast between the light that enveloped Christ in the Transfiguration and the light that was emitted by the first atomic bomb as it exploded over the city of Hiroshima on 6 August 1945. 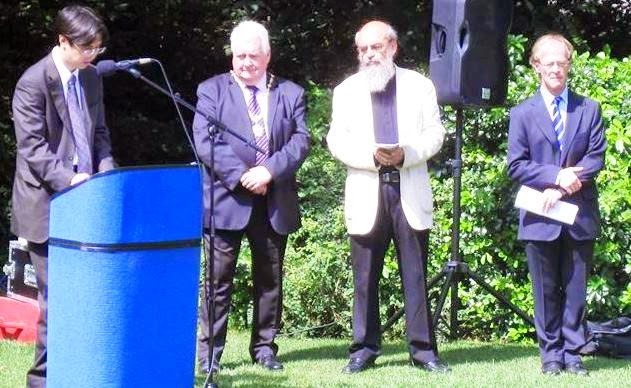 Later today, at 1.05 p.m., as President of the Irish Campaign for Nuclear Disarmament, I am speaking at the annual Hiroshima Day commemoration organised by Irish CND in Merrion Square, Dublin. The way this feast day and this commemoration fall together on 6 August is a reminder of what we can do to each other despite our shared humanity and a reminder of the call to become fully human and to become part of God’s glory and goodness. Readings: Daniel 7: 9-10, 13-14; Psalm 97; II Peter 1: 16-19; Luke 9: 28-36.